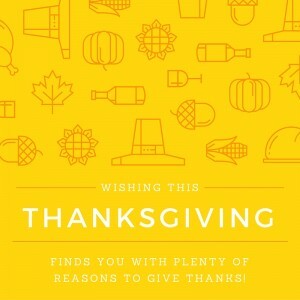 Thanksgiving is a time where good company and lots of good food combine to create wonderful memories. Thanksgiving is a day that many associate with gratitude–after all, the name starts with “Thanks.” On this day, one day a year, people give thanks for what they have. Love that! 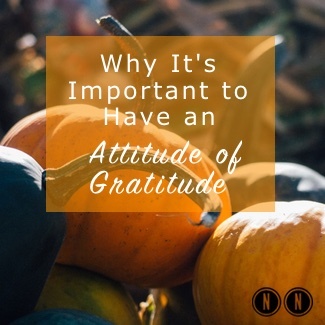 Except…it makes more sense to practice that attitude of gratitude each and every day–starting from the time you get up in the morning until the time you go to sleep. When you get into the regular practice of gratitude, it eventually leads to a habit and then becomes part of your overall way of being in the world. How nice is that? As many of my readers know, I have experienced a tremendous amount of loss, beginning in my childhood and continuing into adulthood. One of the most powerful tools to helping me through these life challenges is my attitude of gratitude. It’s a big part of how I exist in this world. I choose to be grateful–even for the hard stuff. For example, while I may have lost my mother at age seven, I have several options on how I can use this painful time in my life to create joy or sadness. Now, feeling sad isn’t bad (I sound like Dr. Seuss! )–it’s important to feel all of your feelings and not stuff them down. However, I feel grateful that even though I experienced that loss, I have so many blessings in my life and an abundance of love. I can feel sorry for myself, or I can look for the positive. What can I learn and take away from this? Another example: While I went through an incredibly painful divorce, I also have three beautiful children. I wouldn’t trade that for anything. I am so grateful for them. I am also grateful for the love I found after divorce–I am fortunate to be married to the love of my life and soul mate now. So, while challenges and problems and failures exist, they are also incredibly powerful learning opportunities. If you look for the lessons, it makes the pain easier to bear. If you look to your blessings, it makes life go so much more smoothly. So, let me give you a couple more examples. Let’s say you’re divorced and this Thanksgiving, you don’t have your kids. You’re sad about this and focused on the loss. Yes, that’s hard, but what can you focus on that are some good things in your life? What are you grateful for? Your health, loved ones who are supporting you, a roof over your head? What can you do to make a nice memory for this holiday? Maybe you’re worried about your financial situation–or lack thereof. Instead of focusing on the lack of money, what do you have an abundance of in your life? What are you grateful for? So the holidays might be a little worrisome because of money worries–but what is going well in your life? What if you’re feeling down right now? Maybe you feel sad around the holidays and you’re not quite sure why–or maybe you do know why. When you shift your attention to finding the good in your life, your spirits will lift. Just like negative thinking becomes habitual, so too does positive thinking. No one goes through life unscathed from pain. But, how do you turn that pain into something more poignant and meaningful? How can you end up saying thank you for that experience?